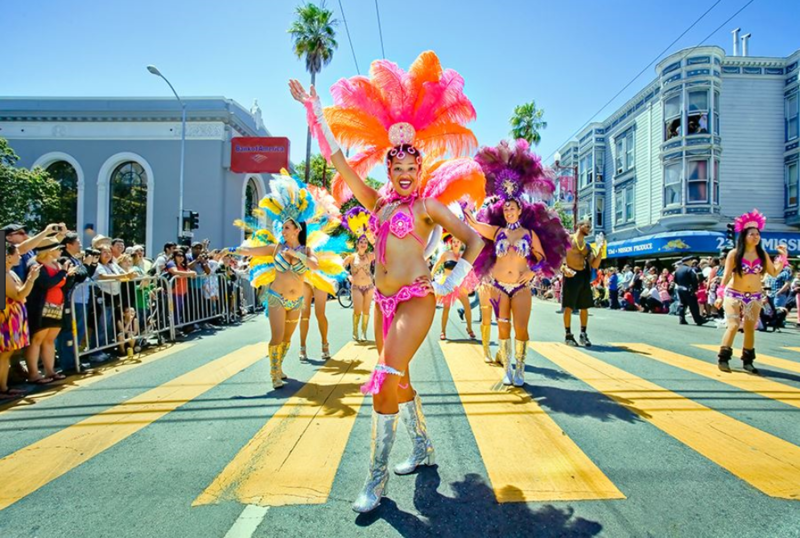 May 27-28: Carnaval San Francisco The 39th annual Carnaval San Francisco, SF’s very own version of Mardi Gras, is back this Memorial Day weekend! Expect a colorful parade, exotic Carnaval dancers and international live music on every corner. The parade kicks off at 9:30am with festival floats and performances, and festivities will continue on Harrison Street in the Mission District between 16th and 24th Streets. May 18 – October 2017: Presidio Twilight Presidio Twilight is finally back! Every Thursday from 5-9pm, indulge in this event’s killer food lineup and enjoy live music, free cabanas and gorgeous SF sunsets. From yoga at dusk to adult jenga, there’s something for everyone, but the main event is cozying up near the firepits with friends and trying the city’s best quick-serve dishes from foodie hotspots like Southern Comfort Kitchen, Bonito Poke and Bombzies. There’s really no better way to enjoy a summer night. May 25-June 11: San Francisco International Arts Festival at Fort Mason Center With three weeks of performances by more than 70 theater, dance and music ensembles from the Bay Area, the San Francisco International Arts Festival is not to be missed. The event features art exhibits, live performances, educational classes and family activities representing art from ten different countries. For tickets, visit the official event site here.